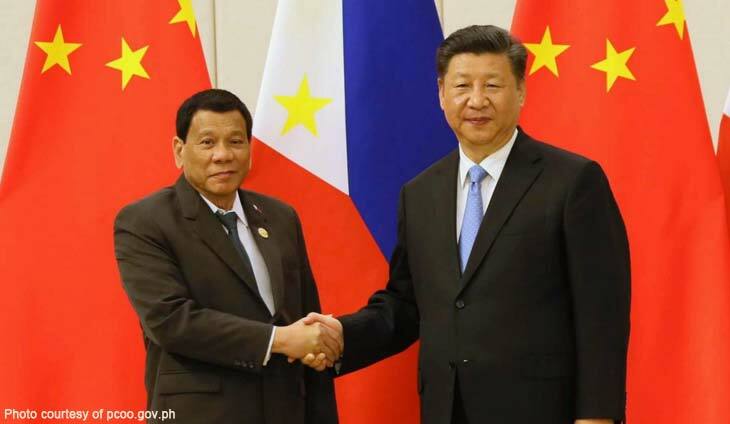 MANILA – Chinese President Xi Jinping on Tuesday invited Philippine President Rodrigo Duterte to attend the 2nd Belt and Road Forum for International Cooperation which China will host again in 2019. Belt and Road Initiate is an ambitious effort to improve regional cooperation and connectivity which seeks to strengthen infrastructure, trade and investments and people-to-people linkages between China and some 65 other countries. In May 2017, Duterte and 28 heads of state and government leaders attended the first Belt and Road Forum for International Cooperation in Beijing. Duterte said the Philippines and China have worked hard for the last two years to lay the cornerstones for the continuous advancement of “our beneficial cooperation in a wide range of areas”. “This afternoon, President Xi and I discussed how we can further enhance functional cooperation in key work areas, such as bilateral trade and two-way investments promotion,” Duterte said. He said they tackled infrastructure development, particularly China’s participation in projects under Duterte administration’s ambitious “Build, Build, Build” program which aims to usher in a golden age of the country’s infrastructure.